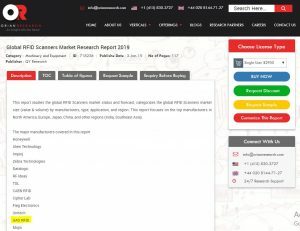 Global RFID Scanners Market Research Report 2019 - GAO RFID Inc. Global RFID Scanner Market Research report analyzes capacity, production, value, consumption and market status from 2013 to 2017 and forecasts the same for 2018-2025. Potential and advantage, opportunity and challenge, restraints and risks of global and key regional RFID scanner market are studies. Capacity, production, revenue, market share and development plans of major manufacturers are analyzed. GAO RFID is recognized as one of the major manufacturers of RFID scanners market. 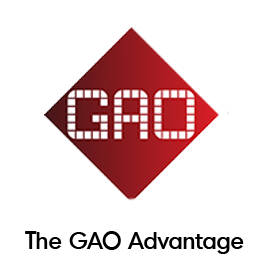 GAO RFID offers a wide range of RFID scanners that meet the demands of every business environment. GAO RFID Scanner/Readers are designed to comply with today’s global frequency standards and are available with different features, making them easily compatible with any RFID Tags.